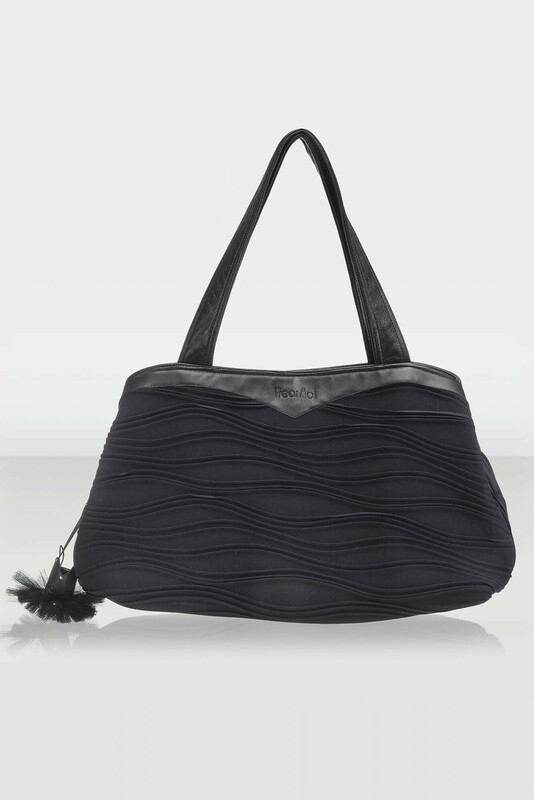 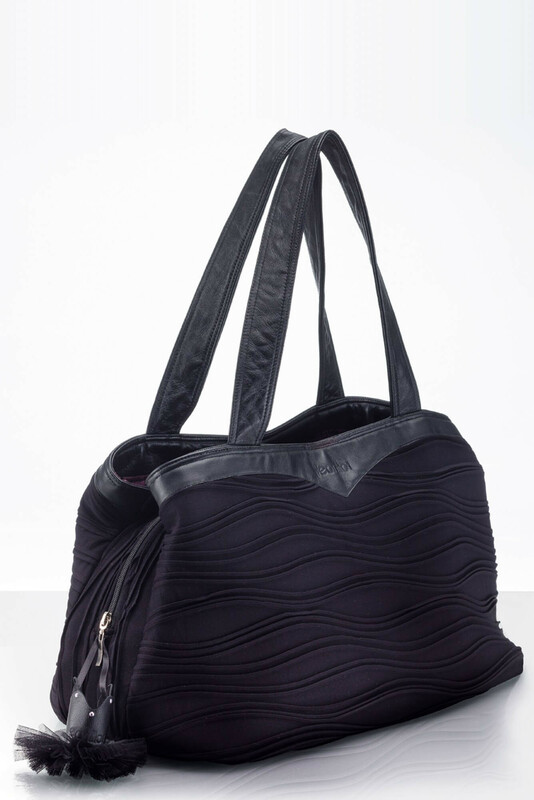 This multi-compartment dance tote bag incorporates slimming waves with practical outer compartments that close with magnetic studs for easy access. 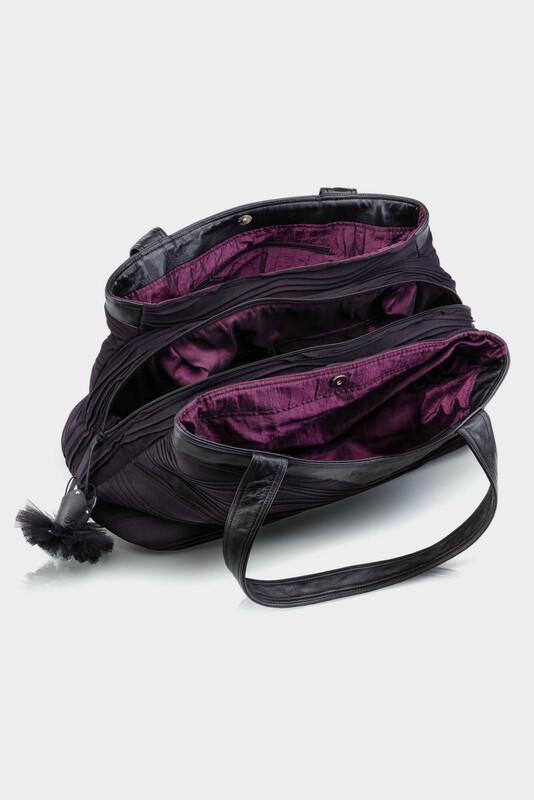 Center compartment closes with zipper for security. 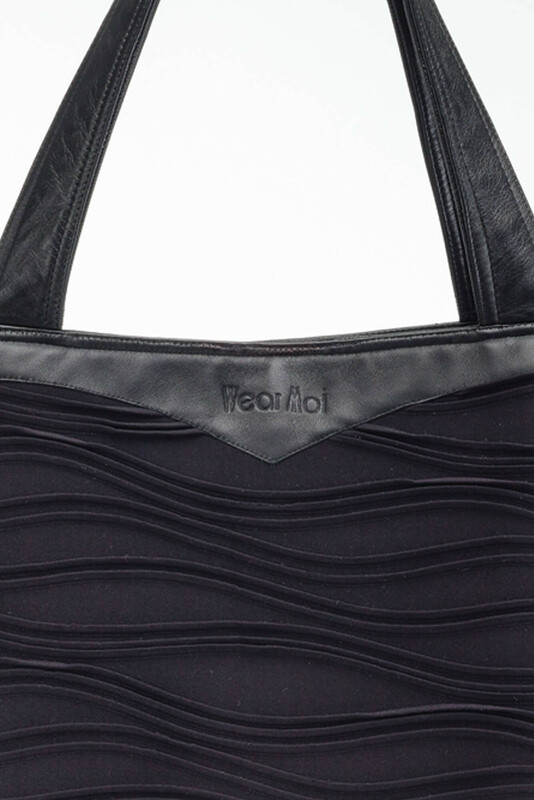 Leather handles and detail. 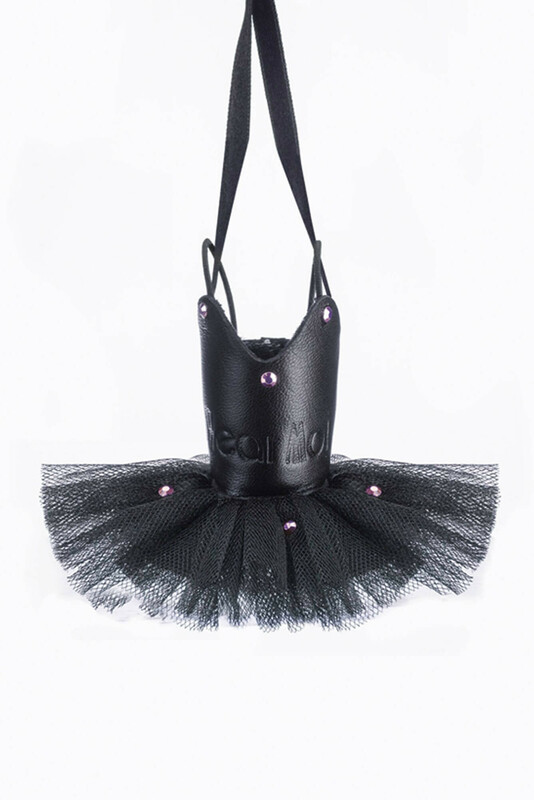 Wear Moi tutu keychain included.